✿ If you need something translated, I will gladly do so, but please ask politely, and do not rush me. Right now I'm adjusting to being back at college full-time while also trying to start work on Bulbapedia again, so I'm just working on whatever strikes my whimsy at any given moment. In other words, unless it is absolutely urgent, I will fulfill your translation request when I feel like it. ✿ If you wish to question one of my translations, I must request that you actually know what you're talking about. Being attacked by someone with no Japanese knowledge because I happen to have translated something differently than another fansite did does not make me a happy Umeko. I do make mistakes, and I very much appreciate them being pointed out to me when they happen, but I am also Head of Translation for a reason. ✿ Leave new messages at the bottom of this page. I transcribed it into text! 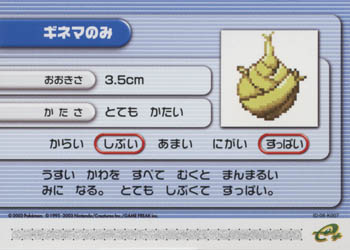 I've been trying to figure out what could the full Japanese text be (since we posted an assumption of what the full English text might be based on the last dated Pokémon Mansion journal—September 1) and I got this far. However, I'm not sure if "‥‥こに その ねがい" is actually missing another こ there. And what can the を in "‥‥を あとにする" possible be? 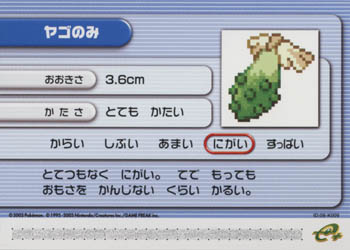 Also, in the romaji, where exactly should the first sentence stop? Hello! I recently joined Project Music, and was going through the translations for the anime's OPs and EDs. I noticed that the translation of a few lines in the lyrics of Summerly Slope is inaccurate. たまらず（～する） means "to finally do something; to do something in the end" 駆け上がった is in the past tense. 抱きしめたい　means "I want to embrace". 陽だまりよりも眩しい is "brighter than a sunny spot". 二人なら is "If it's the two of us"
蜃気楼の向こうに見える is "Can be seen beyond the mirage"
鼓動 is beat, but since the lyrics are 僕の鼓動, so I guess it can be interpreted as heartbeat. When you've got pages like Pokémon Sandwich (with 3 columns), toi et moi (left aligned and with 2 columns), and Can You Name All the Pokémon? BW#Lyrics (centered and only 2 columns), the difference can be kind of glaring. It would be great if all J/E lyrics had a standard format, and the best way to do that is of course with a template. I've taken the liberty of making a JELyrics template, and I've put it on the Can You Name All the Pokémon? BW page for the first set of lyrics. If you compare the version with the template to the version without, you'll see that they're exactly the same...except a newline at the end that I was lazy about. Hello, I would like your confirmation on a certain subject. In this episode in the japanese dub, it basically confirms that pokemon of the same gender are unable to act that way (being attracted to each other) normally (like in the games). Brock says this when looking at Pikachu and Piplup. But, I was watching a subbed version of the episode though. Still, I decided to listen carefully about what he was saying. 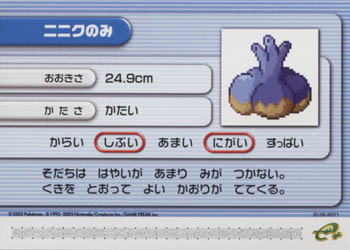 While staring at Pikachu and Piplup, he mentions to the others that pokemon with the same (onaji) something being impossible (arienai) to act that way. The only thing about Pikachu and Piplup being the same is their gender, so I thought it was correct. 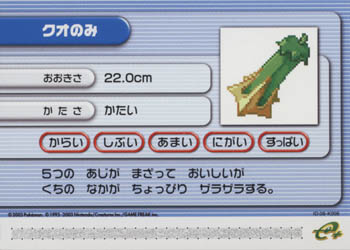 Plus, the machine that made the pokemon act that way manipulates the move attract to make even pokemon of the same gender able to feel the affect like for example, a female Skitty would with a male Skitty that used attract. This page was last edited on 5 June 2015, at 11:52.